Back in the days when phones were still wired in and rabbit ears and radio ruled the home entertainment market, choosing a service to connect your home was simple. Want better television? Climb on the roof and put up an antenna. Want a phone? Call the phone company. Today’s consumer faces a far more confusing array of choices. Phone companies have morphed into the all-around telecommunications and entertainment suppliers. The cable company is selling phone service and everyone is selling the Internet. First, if you’re looking for an easy formula, forget it. What’s good for grandma when it comes to Internet might not be enough for your gaming guru teen. The telephone service that gives your neighbours unlimited calling to China may be a waste for you if you never call past Chilliwack. Added to that is your location. CRTC rules are only gradually catching up with the realities of a many-player telecommunications market with a hodge-podge of regulated and deregulated areas that could leave your cousin in Pouce Coupe paying more for the same phone service you have in Vancouver. That explains why, when Shaw first launched its digital phone service in Telus’s backyard, the newcomer could undercut Telus rates while Telus couldn’t persuade its customers to stay with offers of lower rates. While Hall doesn’t go so far as to say Telus won’t be undersold, he said the company is aggressively competing on price in areas where the CRTC allows it. “We are still regulated in large parts of the province,” said Hall, adding that Prince George is one area currently before the CRTC for deregulation. “Back in 2002, we applied to reduce our local rates and were told not to by the CRTC; they wanted to encourage competition in the industry so we weren’t allowed to compete for our customers’ business. There are benefits for consumers. Among them, long distance — formerly a big chunk of a phone bill if you called outside of your local calling area — is now low cost or lumped in with unlimited options in bundled packages. Internet service, formerly a one-size-fits-all option, is now offered by providers in a range of prices and service levels, and they, too, get lumped into bundles offered by companies like Telus, Shaw, Bell, Rogers and other, smaller, players. Companies offer special sign-up deals to attract new customers, but you need to know what your bill will be when the honeymoon is over. What may seem like a great deal today could sour quickly if your circumstances change or you simply decide you don’t like the service. Be especially wary of cancellation fees. What if you move midway through a contract and for whatever reason can’t transfer the service to your new home? You could end up paying a hefty fee to get out of it. Aside from the major carriers, there are a number of smaller companies offering everything from VoIP phones to Internet service. Check out their track record. The Better Business Bureau isn’t a definitive consumer rating but it’s a good place to start. I’d regard any level of complaints as a red flag. The BBB’s record for Vonage lists thousands of complaints, albeit most recorded as resolved. Do a Google search, including blogs and search Twitter to hear what consumers are saying. If you’re paying a lot for channels you never watch, shop around, within your current service and with others to see if you can get a tailor-made viewing list that more accurately reflects your needs. Check the availability of HD channels and what exactly your package delivers. There’s a difference between paying for a movie that you have to watch at a set time and one that is virtually like a video rental, letting you choose when you want to watch, whether you want to stop it to make popcorn, and other useful advantages. Make sure you’re clear on which is which before you start shelling out five bucks a pop (or more) to watch a movie. Ask about any additional charges before you choose and canvas friends and complaints records to see how quickly the company responds when something goes wrong. 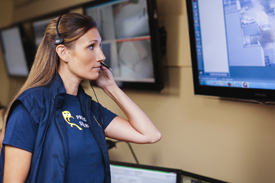 Find out what happens when you call 911. There have been cases with tragic consequences when emergency services have been dispatched to the wrong address because the database failed to reflect a move.